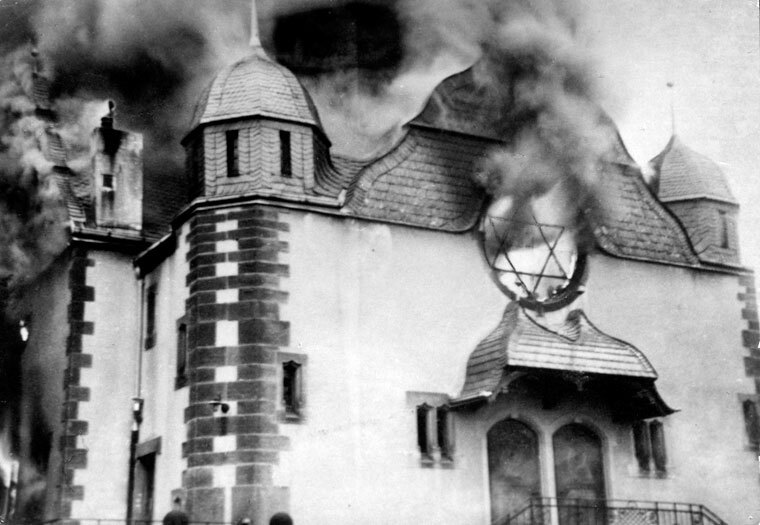 This Wednesday evening is the 80th anniversary of Kristallnacht, the beginning of the destruction of European Jewry. The 16th of Marcheshvan is the Hebrew date of this event, which has sadly been forgotten by many, and ignored by all official organizations who commemorate the Holocaust in one way or another. 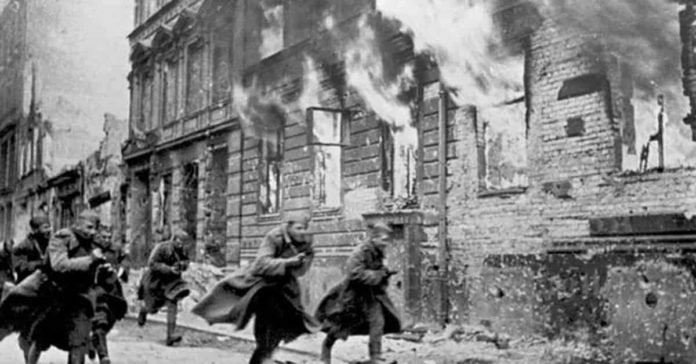 Kristallnacht was a pogrom against Jews throughout Nazi Germany on November 9-10 1938, carried out by SA paramilitary forces and German civilians. 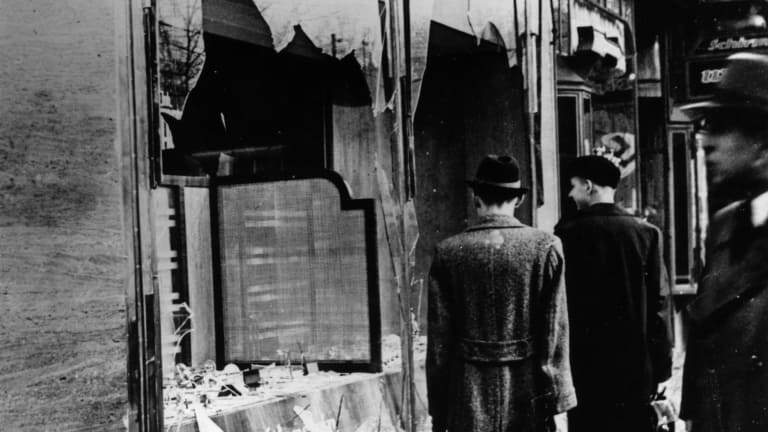 The German authorities looked on without intervening.The name Kristallnacht comes from the shards of broken glass that littered the streets after the windows of Jewish-owned stores, buildings, and synagogues were smashed. Estimates of the number of fatalities caused by the pogrom have varied. Early reports estimated that 91 Jews were murdered during the attacks. Modern analysis of German scholarly sources by historians such as Sir Richard Evans puts the number much higher. When deaths from post-arrest maltreatment and subsequent suicides are included, the death toll climbs into the hundreds. Additionally, 30,000 Jewish men were arrested and incarcerated in concentration camps. 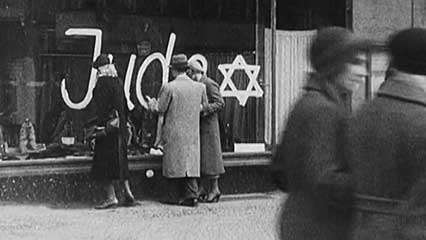 The storefronts of about 7,500 Jewish stores and businesses were shattered, hence the appellation Kristallnacht (Crystal Night). Jewish homes were ransacked all throughout Germany. Although violence against Jews had not been condoned by the authorities, there were cases of Jews being beaten or assaulted. 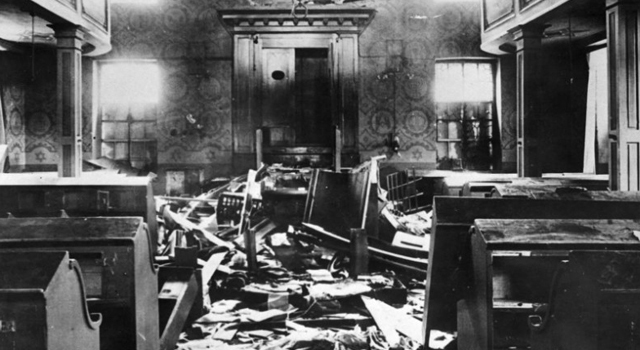 Eschwege, Germany, A synagogue desecrated during Kristallnacht, 11/11/1938. Over 1400 synagogues and prayer rooms, many Jewish cemeteries, more than 7,000 Jewish shops, and 29 department stores were damaged, and in many cases destroyed. More than 30,000 Jewish men were arrested and taken to concentration camps; primarily Dachau, Buchenwald, and Sachsenhausen. 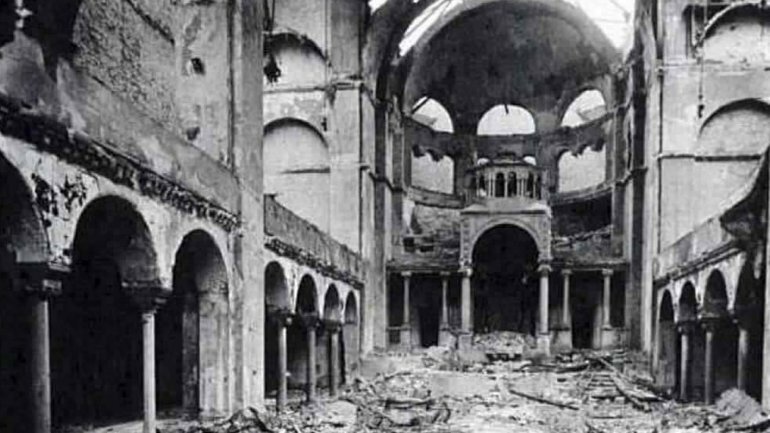 The synagogues, some centuries old, were also victims of considerable violence and vandalism, with the tactics the Stormtroops practiced on these and other sacred sites described as “approaching the ghoulish” by the United States Consul in Leipzig. Tombstones were uprooted and graves violated. Fires were lit, and prayer books, scrolls, artwork and philosophy texts were thrown upon them, and precious buildings were either burned or smashed until unrecognizable. After this, the Jewish community was fined 10 billion Reichsmarks. In addition, it cost 40 million marks to repair the windows. 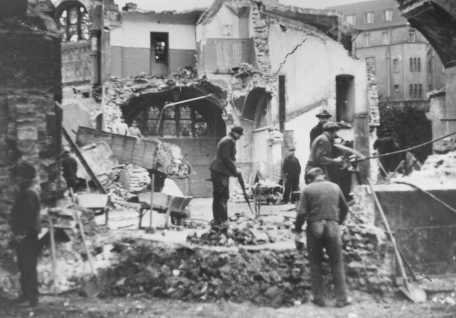 The persecution and economic damage inflicted upon German Jews continued after the pogrom, even as their places of business were ransacked. They were forced to pay Judenvermögensabgabe, a collective fine of one billion marks (equal to roughly $US 5.5 billion in today’s currency), which was levied by the compulsory acquisition of 20% of all Jewish property by the state. Six million Reichsmarks of insurance payments for property damage due to the Jewish community were to be paid to the government instead as “damages to the German Nation”. By the end of 1938, Jews were prohibited from schools and most public places in Germany–and conditions only worsened from there. During World War II, Hitler and the Nazis implemented their so-called “Final Solution” to what they referred to as the “Jewish problem,” and carried out the systematic murder of some 6 million European Jews (along with, by some estimates, 4 million to 6 million non-Jews) in what came to be known as the Holocaust. 1) In American it means World Trade Center. 2) In European it means Kristallnacht. Lets hope that Hashem does not do this to CH”V again. We have to show HKB”H that we are not like them, on the contrary, we love and have sincere compassion for every single Human Being, no difference whether he was born to Yiddishe mother or to a Non-Yiddishe mother. We worry about everyone’s (yes everyone’s) health and finances.